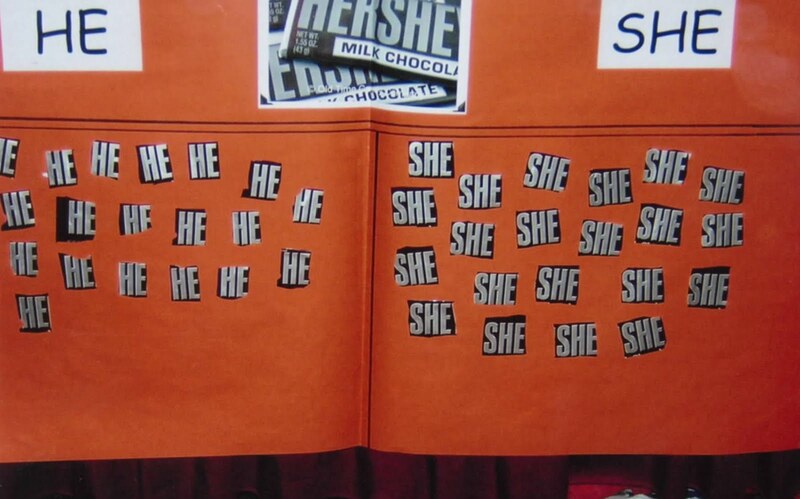 Here is a tasty graphing idea for finding out how many boys and girls there are in the classroom. 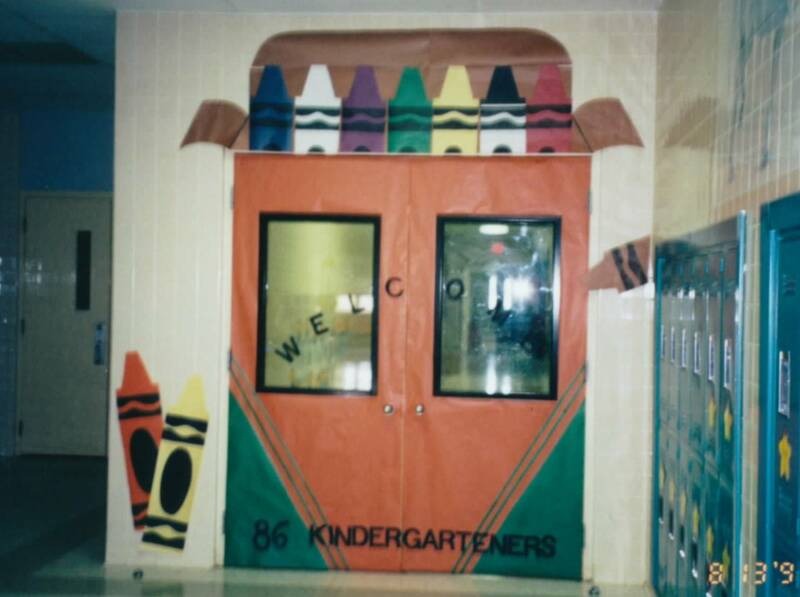 Here are a few back to school bulletin board or door ideas. 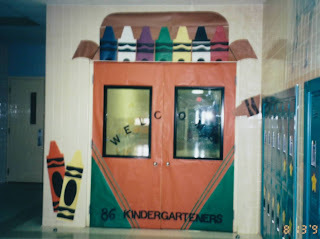 A new blogging friend, Kathleen, went to the I Teach K Conference in Vegas this summer and shared her pictures with me. 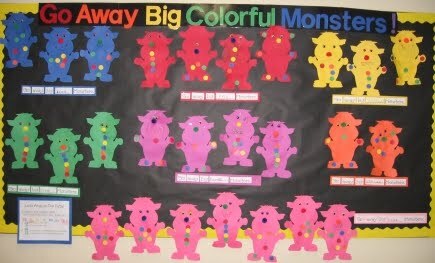 I found a really cute back to school idea I wanted to share. 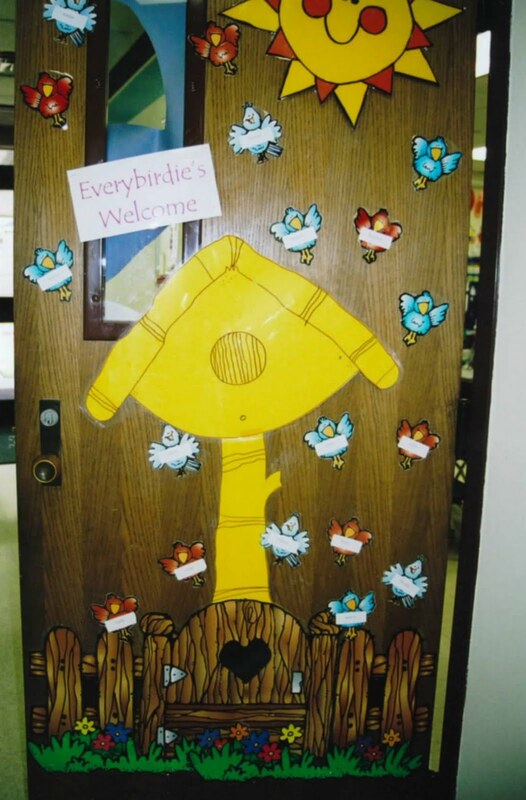 It is a great way to introduce students to the staff and the school. Thanks for sharing Kathleen!! TLC Lessons has a new weather book. The lessons include Sunny Weather, Cloudy Weather, Rainy Weather, Foggy Weather, Windy Weather, Snowy Weather and a Cover.You can download the cloudy weather lesson for free. Just click on the words "weather book" in this post. We read Eric Carle's book From Head to Toe then I had students think of something they could do and I took their picture while they did it. This book page has a mistake on it though. It should not say "I can." twice. 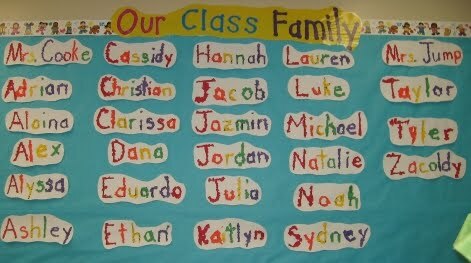 We do a lot of books at the beginning of school where kids only have to write their first name. 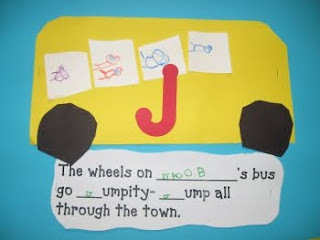 These activities do not take very long, but they give kids practice writing their name the "kindergarten way" - writing a capital letter for the first letter and lowercase letters for the rest. A lot of my students have to unlearn writing their names in all capital letters. We read Harold and the Purple Crayon and made a class book. 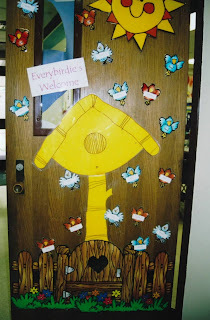 We read A, My Name is Alice by Jane E. Bayer and made this class book. We use a writing program called Write From the Beginning. 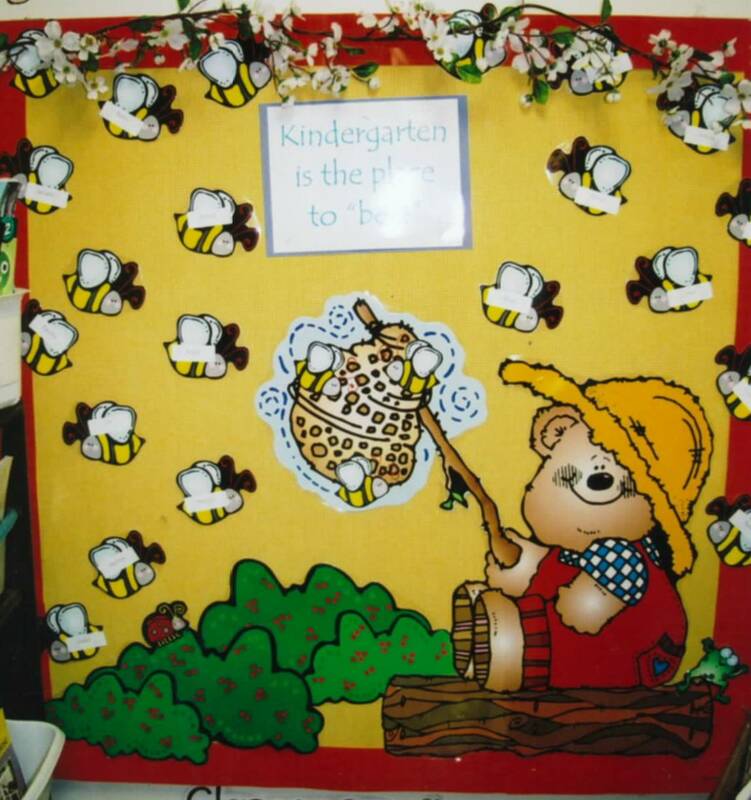 In kindergarten, you teach the students to draw with great detail based on the belief that the details will later carry over to the writing. My students drew self- portraits with step by step whole group instruction. If you are interested in Write From the Beginning, let me know and I will give you more information. This is an idea that came from my librarian. She read the book One Smart Cookie by John A. Nez and then had the students brainstorm reasons they were "smart cookies." We made this book based on Chicka Chicka Boom Boom. One thing I would do differently is the sticker letters. I let them choose their letters, but then they were in random order. I also think I would look for smaller letter stickers or make the words page larger. 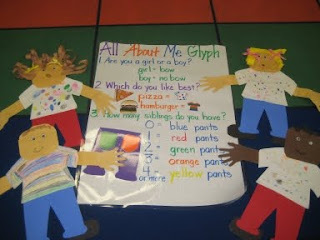 The following are all ideas, words, and pictures taken straight from Mrs. Jump's Kindergarten Web Site. 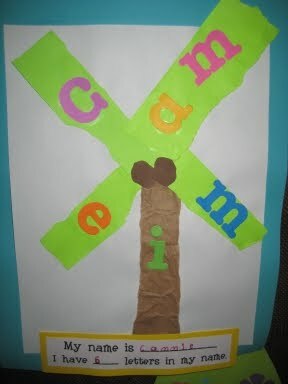 When we can recognize the letter and say it's sound we add that letter to our Chicka, Chicka tree. 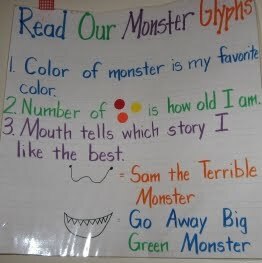 This is a chart for our Monster Glyph. I love making glyphs in the classroom. I create my own to go with our themes. Glyphs are a great way for students to learn about creating and analyzing data. 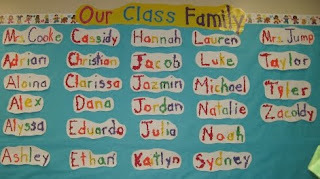 We learned about Rainbow color order by making our name mosaic's. We have fun learning about letters and sounds using the first letter in our name to sing a silly song. 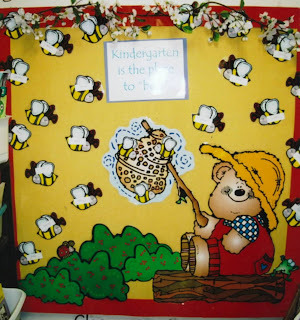 These pictures and ideas came from the Kinder by Kim web site. Read the book We Share Everything by Robert Munsch. Have students brainstorm good things to share and bad things to share in kindergarten. 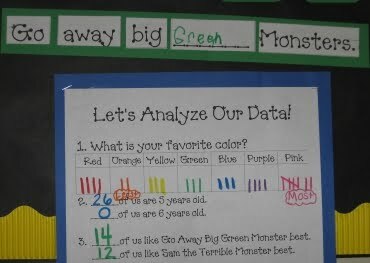 Chart their answers and then create a class book. 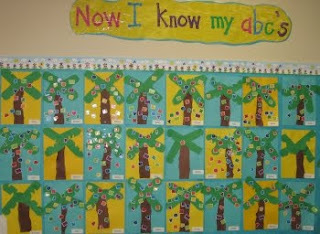 Make a class book based on Dr. Jean's song I've Got the Whole Alphabet In My Mouth. Graph how many letters are in your name and then make a class book. Read the book Potluck. Have a potluck day. Students bring an item to school that starts with the first letter of their name. Take a picture of each student with their item. Then put them in a class book. Of course, you will have to eat all of the food items that are brought!! Yum!! 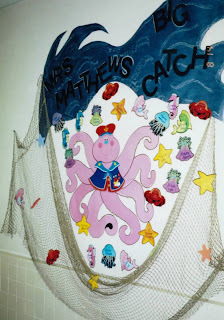 This is the kids' favorite part! Go on a letter hunt. 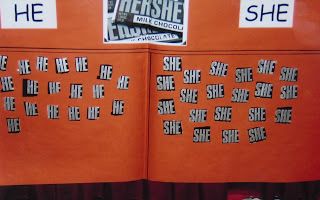 Place some kind of letters (paper, stuffed, magnetic, etc.) in the middle of the circle. Sing the chant and have a student find the letter you are looking for. We're going on a letter hunt, a letter hunt, a letter hunt. We're going on a letter hunt, to find the letter (A). Read Brown Bear, Brown Bear, What Do You See?. Then act out the story and make a class book.